My son was not his usual bubbly self when he came home from school last Wednesday. He said he was sleepy, but I knew just by looking at him that he wasn’t feeling very well. 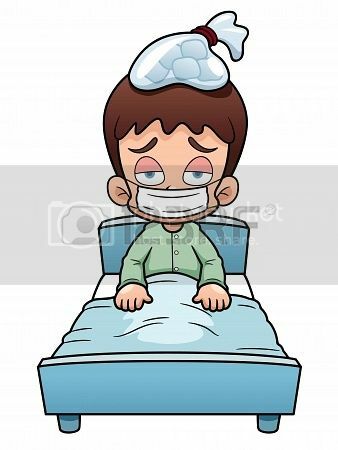 He had a sore throat and a low-grade fever. Because it was already too late to go to the doctor, I resorted to texting his pediatrician who prescribed antibiotics and asked me to monitor Justin’s condition. If he still had fever the following day, she said my son should have CBC (complete blood count) and dengue NS1 test done. He woke up without fever the following day and insisted on going to school. I told him to tell his teacher if he feels anything amiss anytime during his class hours. I decided to fetch him from school and take him to the doctor the next day just to make sure that he didn’t need any new medications. It turned out that his pediatrician went out of the country that day for a medical conference, but a resident was available to check on my son. The resident found out that Justin had tonsillitis, and she said the medication earlier prescribed by my son’s pediatrician through text would do, but she increased the dose, one appropriate for my son’s weight. That did it! My son was feverless on Day 2 and was back to his normal self. Thank heavens it wasn’t dengue! This entry was posted in Sick Boy, Tonsillitis. Bookmark the permalink.